Calibrated hyper- and multispectral, topographic data on Solar System bodies. 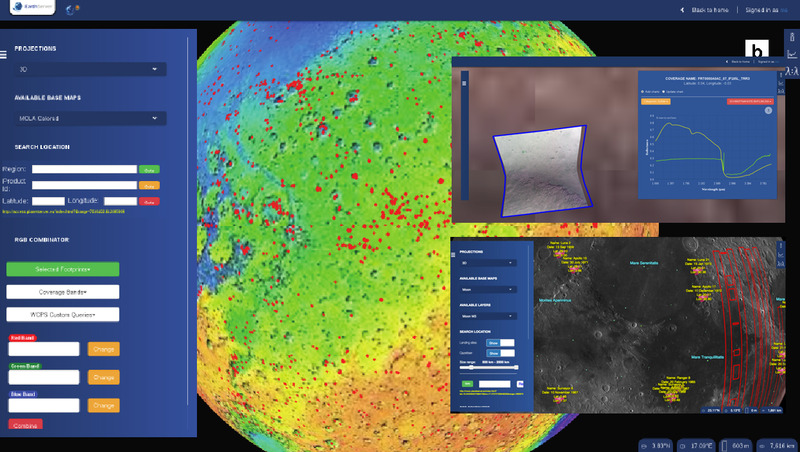 PlanetServer provides access and analysis of planetary data, mainly through OGC Web Coverage Processing Service (WCPS). The focus of PlanetServer is particularly on hyperspectral imaging and topographic data. 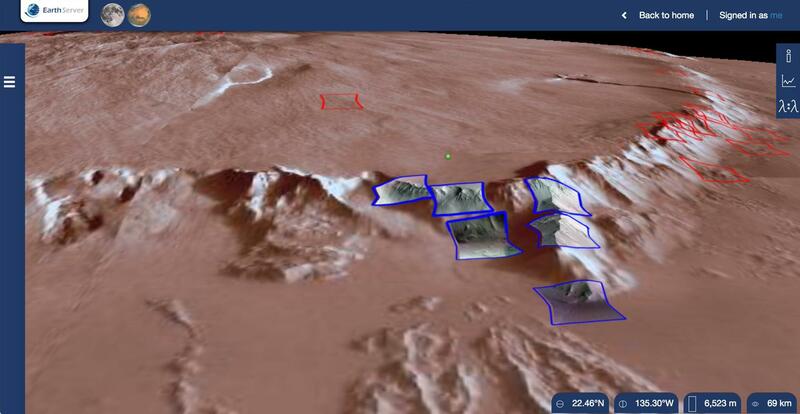 Data from Mars, the Moon and other Solar System Bodies are available and queriable. Ingested datasets derive from NASA Planetary Data System (PDS) and ESA Planetary Science Archive (PSA). User interest and community feedback served as input and driver to PlanetServer features and capabilities. Moreover, PlanetServer aims at supportng collaborative data analysis, being able to share planetary data hosted on a database server and querying them from a web client through any supported web browser (Chrome is advised).